As I mentioned in my previous post, Today’s women Is Unstoppable, a friend of mine is a researcher by profession, she is travelling to interiors of India is a prerequisite of her job. For her travel now is unavoidable, long hours of travel in villages and streets of rural India for collecting data, miles and miles of walk for reaching a village or community is important and periods certainly can’t be a reason for me to stop or change plans. 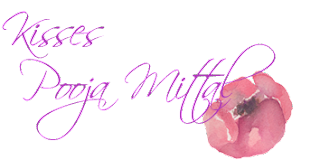 All this confidence and strength to travel without fear Whisper came to her rescue. With whisper all these activities never get hampered and nor do I need to now request for a date change or cancellation. The New Whisper Ultra, has upped the game, it has a new top layer added to the already a really sorted product. The New Whisper has been made taking in consideration, the need or comfort and the fast pace of life. New Whisper Ultra that comes with 1000 suction holes to offer better protection for long hours. I always have used Whisper Ultra and to be honest I always felt it’s the best, The New Whisper Ultra is better than the Best, it’s even softer, is even more conformable and thanks to its magic gel crystals that help in fast absorption, I don’t even feel it’s that time of the month. One thing that I am really conscious about is the odour. Don’t you feel a little uneasy thinking that you might be smelling a little off in those 5 days! 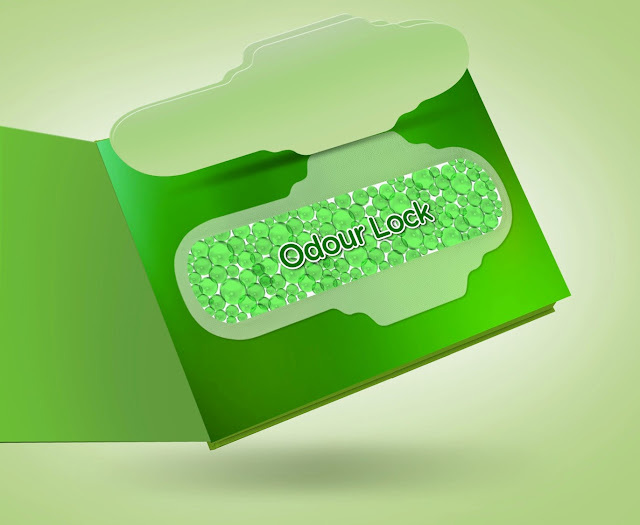 New Whisper Ultra got this problem covered too, they have odour lock technology which actually works. TMI alert, it smells like flowers. 9) Once it sticks, it doesn’t move. If you have been using Whisper all your life then New Whisper Ultra is an upgraded and even better product. 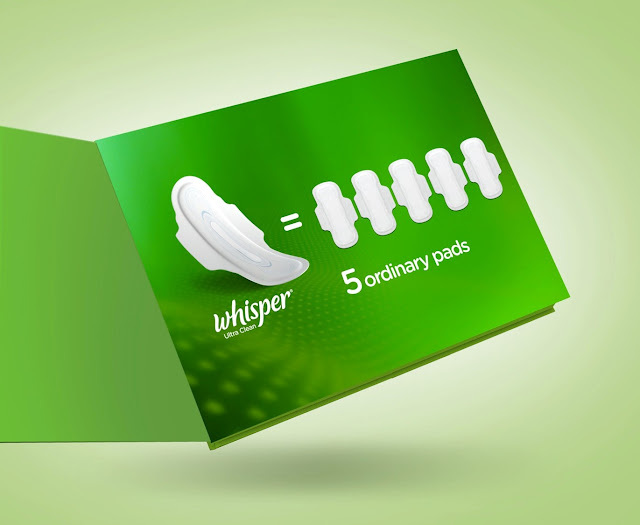 One New Whisper pad is equal to 5 ordinary pads, now you can imagine the absorption capacity. New Whisper Ultra gives that necessary confidence to travel, to move or to do anything that you wish for; without even thinking once about periods. New Whisper gives you protection and courage to explore and not worry. 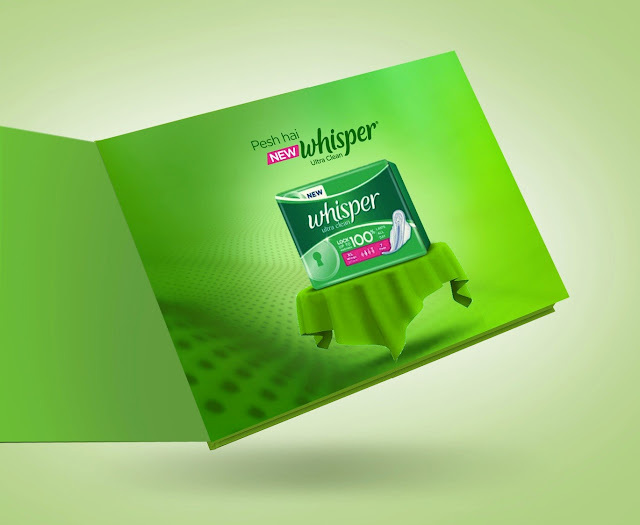 It is surely, a girl’s best friend during those days when she is either irritated or low on confidence to face the world, with a small, handy, easy to carry packaging whisper doesn’t let any of your plans or life to stop, thinking of staining or spoiling of clothes..